Office desk made from American Oak timber and features an American Walnut inlay. 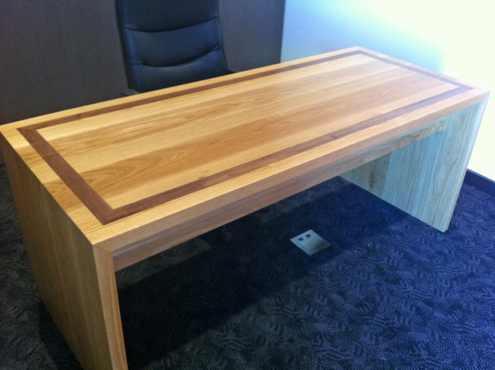 The two timbers combine well and add a touch of style to this managers office desk. The 45 degree joins on the top / sides remove any end grain. It includes three drawers for storage and is finished in 30% 2 pack satin lacquer.